Does size matter? Well, when it comes to ski area size – maybe… Some skiers and boarders are definitely swayed by the number of kilometres of piste, or acres in area of a ski area and as far as marketeers are concerned, the bigger the better! 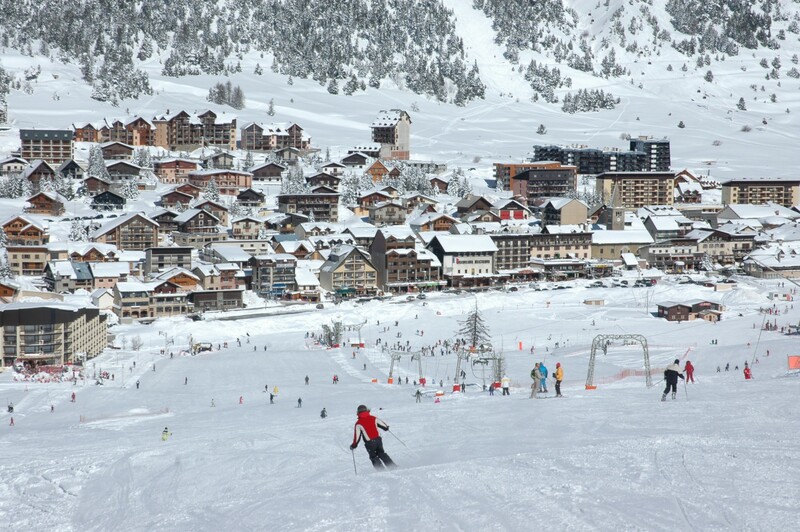 Certainly for the past 40 years now the trend, particularly in Europe, has been for ski areas to merge with their neighbours to create the biggest ski areas. This tends to happen in two different ways – firstly ski areas that are fully inter-linked by lifts and pistes so you can ski it all without needing to take your skis off and get on a bus, and secondly areas that are partly like that but partly you DO need to get a bus between sectors BUT they’re all included on one lift pass (including the bus ride). The largest in this latter category (which we’re not really including otherwise here) is the Salzburg Superski Card in Austria which includes around 2,750km of piste shared between around 90 different ski villages. Obertauern, below, is one of them. To make things a little more complicated still there are two other big influences when you try to make a list of the biggest ski areas. Firstly ski areas in Europe and North America measure their ski areas differently – in North America they count the acres of skiable terrain but don’t measure the length of their runs laid end-to-end, which is the European way. Then secondly there’s the question of whether the measurements are true or not. Some ski areas seem to wildly exaggerate the length of their runs and a few years ago a German journalist and cartography experts, Christoph Schrahe, began measuring ski area sizes accurately for the first time using digital mapping technology and Google Earth. He found big discrepancies between what ski areas were claiming and the reality. When challenged ski areas revealed that in some cases they’d measured a wide piste three times, or followed the ‘S’ shape of a skier down the piste rather than measuring a straight line. It led to a lot of soul searching, the start of recommended measuring techniques in Austria at least and Mr Schrahe set up www.pistelength.com to give ski areas the chance to have their size claims independently verified. I’ll refer to some of Mr Schrahe’s figures in the list below, in which I’ll include the biggest ski areas by all the main different measuring systems. More than half of the ten biggest ski areas in the world – of the kind that are all lifted by pistes and lifts – are in France. 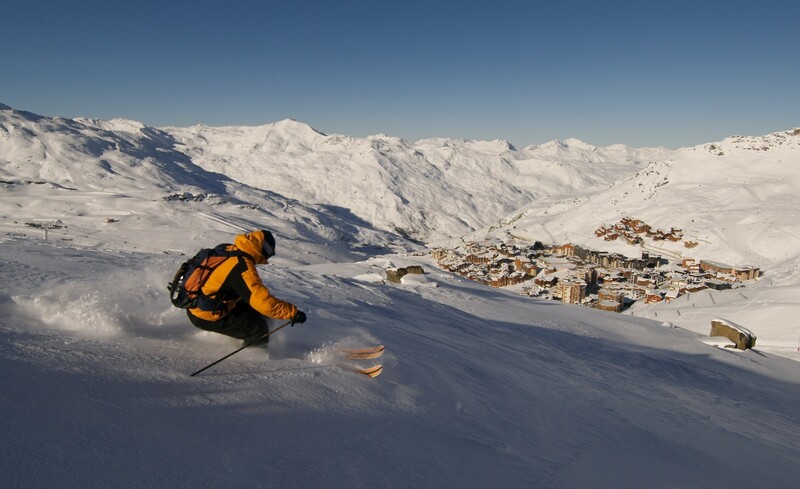 The 3 Valleys is home to several world famous resorts including Courchevel, Meribel, Les Menuires and Val Thorens (pictured above, image credit Marc Bérenguer OT Val Thorens), as well as half a dozen smaller villages. 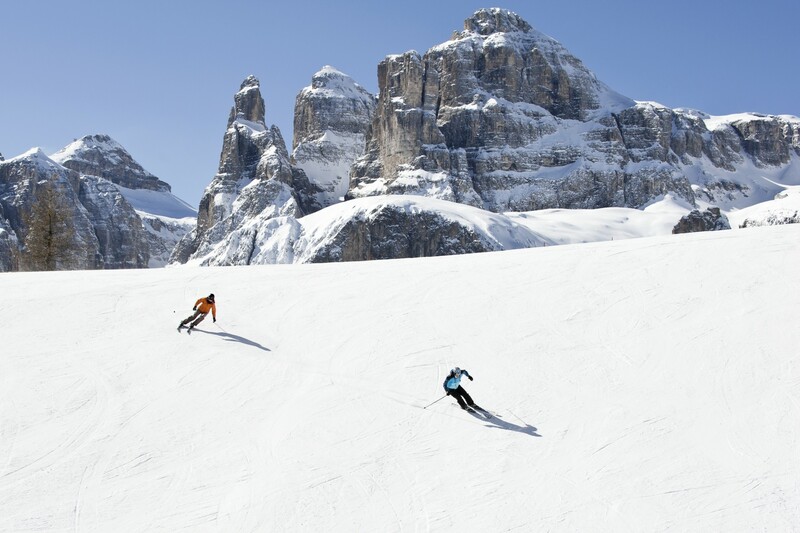 The Sella Ronda is a kind of ‘stealth ski region’ as no one is promoting it as one of the world’s biggest. It is part of Dolomiti Superski, which with around 1200km of terrain from day one on one lift pass, can be counted as the world’s biggest ski area on some other measures. It is also known as a circuit of around 23km around a giant lump of mountains in the Dolomites. But from that circuit valleys like Gardena and Fassa and Badia radiate off, and if you add the piste km in each of those together you get to something like 500km of runs. The second French area in the world top three (and possibly world top two, as no one has really measured Sella Ronda properly, and Mr Schrahe doesn’t rate it anywhere near so big as the occasionally moored 500km), Paradiski is the combination of the two already huge ski areas of Les Arcs and la Plagne (pictured top) linking around 20 base villages. You do have to take your skis off to jump on the spectacular Vanoise Express double decker cable car which crosses the valley between them. Even by the north American area measure its huge – 14390 hectares = 35,559 acres! It starts to get more tricky still now. 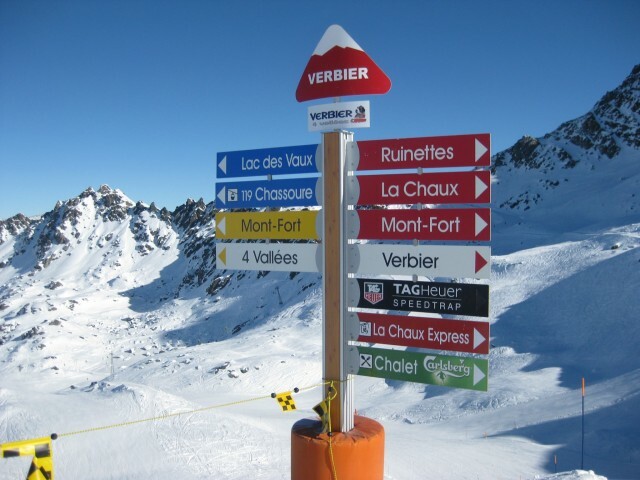 Mr Schrahe does not rate the 4Valleys as having anywhere near 400km of piste, but so far that’s the official figure for Switzerland’s biggest ski area, dominated by the famous resort of Verbier, so I’m putting it at joint number four until told otherwise. 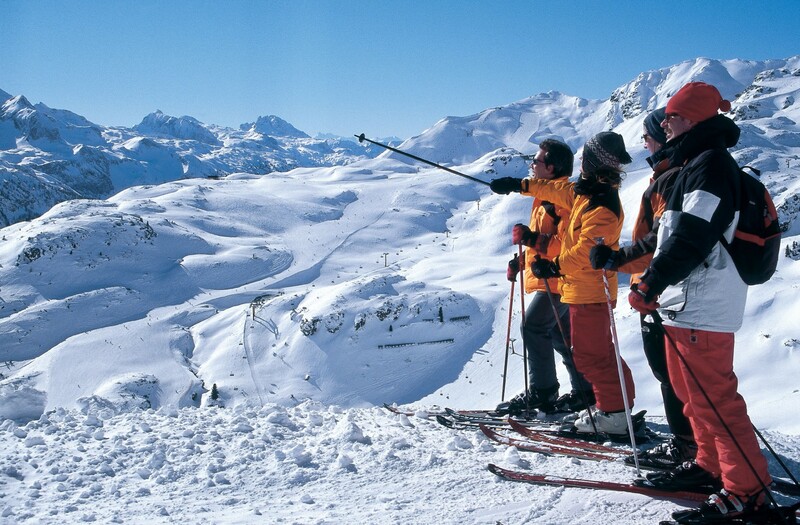 This exciting cross-border area links Montgenevre in France (pictured above) to half a dozen top Italian resorts including host resorts for the 2006 Torino Winter Olympics such as Sestriere, Sauze d’Oulx, Sansaicario and Pragelato. Legend has it that the cross border pass where the link is located is the same one that Hannibal marches his elephants through. Prior to the growth of the Eurozone, skiers also used to go past a border control gate and carry their passports when they skied from one country to the other. Formerly this area claimed 400km of runs but doubts were cast on this claim and it’s difficult now to find an official stat, the main website just talks about how many runs there are. The most recent stat from a travel company based in the resort gives 390km. 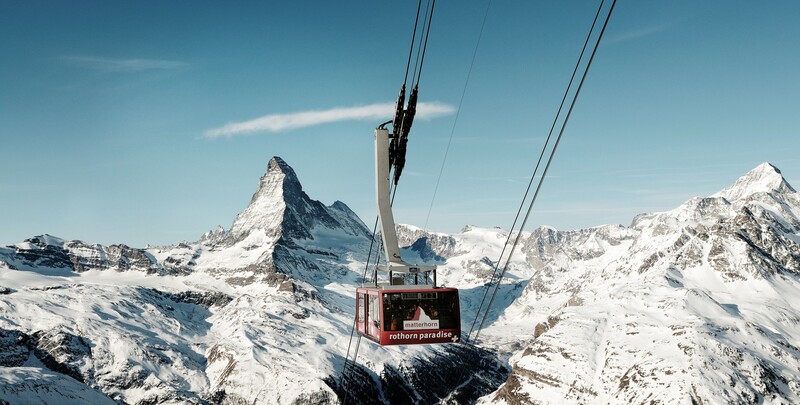 The cross-border ski area shared by Zermatt and Cervinia is not only home to Europe’s highest lifts and some of the world’s longest runs and biggest lift-served verticals , it’s also one of the planet’s biggest, it’s the 6th largest ski resort in the World. Now it starts to get even more interesting in the numbers game. Europeans have long thought the biggest ski areas in the alps were vastly larger than ski areas in North America but a combination of North American areas getting ever bigger and Mr Schrahe’s accurate mapping has proved that to be incorrect. But the biggest ski area in North America, but the European ‘piste length’ measure is not the biggest by area (Whistler, below) which Mr Schrahe has third in North America with 254km, it’s an internationally little known ski area in Montana centred on the resort of Big Sky. But its more complicated than that. Big Sky is one of three areas all linked together to create this big area. It absorbed one of the other two, the former moonlight basin are, but the third Yellowstone Resort, is a private members club for multi-millionaires and you can’t ski here unless you have the cash, or are friends with a member. So you can only ski the biggest ski area in North America (by piste length) if you’re super rich. 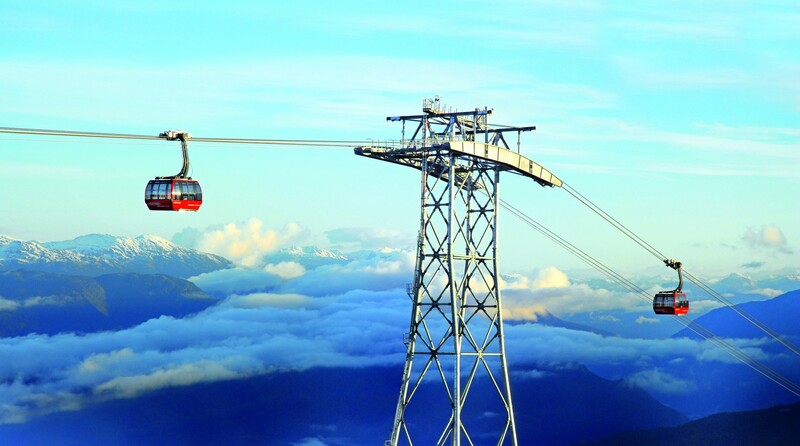 Whistler Blackcomb remains the largest in North America by their area measure anyway with 8,171 acres. There’s been a bit of a “who’s the biggest?” battle going on in Austria over recent years and it’s probably not over yet. As with all of these size claims there is some size debate as to which is the biggest ski area in Austria. It’s the country where they have taken the issue the most seriously and got down to some very precise measurements. It also has the largest ski-area-conglomeration passes like the Kitzbüheler Alpen Skipass, Ski amade and others which in some cases allow 1000s of km of skiing (NOT fully inter-connected but all on one ticket) with the one pass. To add to the complication some Austrian ski areas are included ungroomed off piste terrain or ‘ski routes;’ in their maths, which kind of means you can count anything. 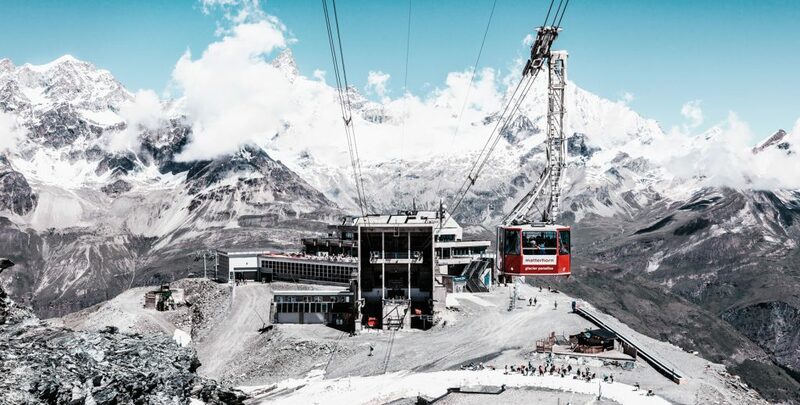 However that battle was made less significant in 2016 when a massive €50m investment by the Arlberg region linking the long separate Lech and St Anton sides with high speed lifts gave it top-spot on size and also overtook Val d’Isere – Tignes. To be doubly safe they also claim 200km of marked ‘ski routers’; in their area so could say 505km of runs are connected. 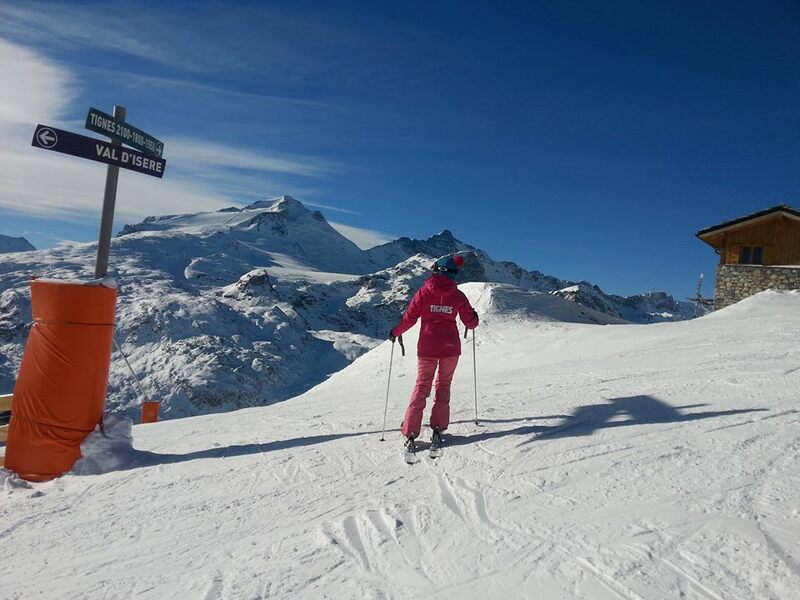 Knocked down from number 8 to 9 by the Arlberg link up, with a claimed 300km of runs, its many fans feel strongly that the Val-d’Isère – Tignes ski area (formerly known as Espace Killy) is also the best ski area in the world whatever its size. 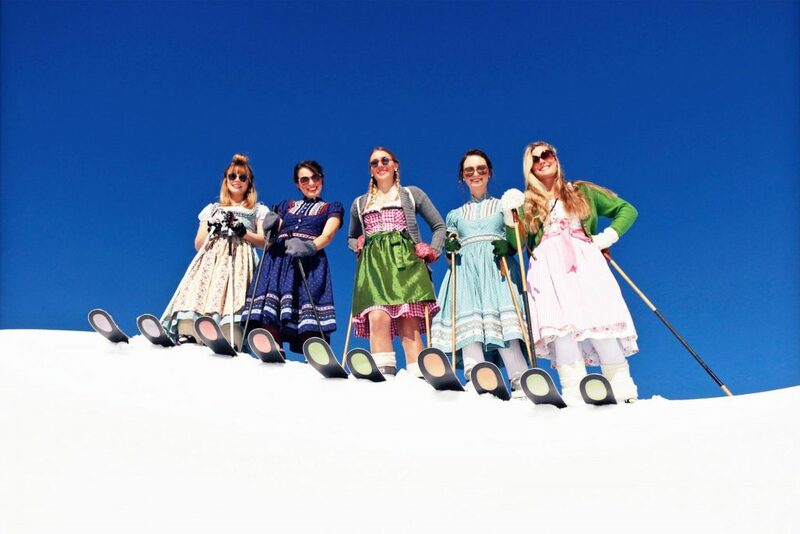 Things start to get very close together now – the Skiwelt in Austria (which claims around 278km of runs and bigger than Saalbach, although Mr Schrahe disagrees) is one contender for 10th spot, as indeed Saalbach and is the Grand Massif region in France around Flaine with a claimed 265km. There’s also the question of the largest single sector within the huge 650km of the Portes du Soleil ski region which is largely but not completely lift/piste inter-linked (Mr Schrahe thinks 365km there). The ski areas around Davos Klosters and around Megeve in France are largely lift-linked too and both offer more than 300km of runs on their lift passes. But I’ve decided to opt for another US area with the figures confirmed by Mr Schrahe and new for 2015-16. 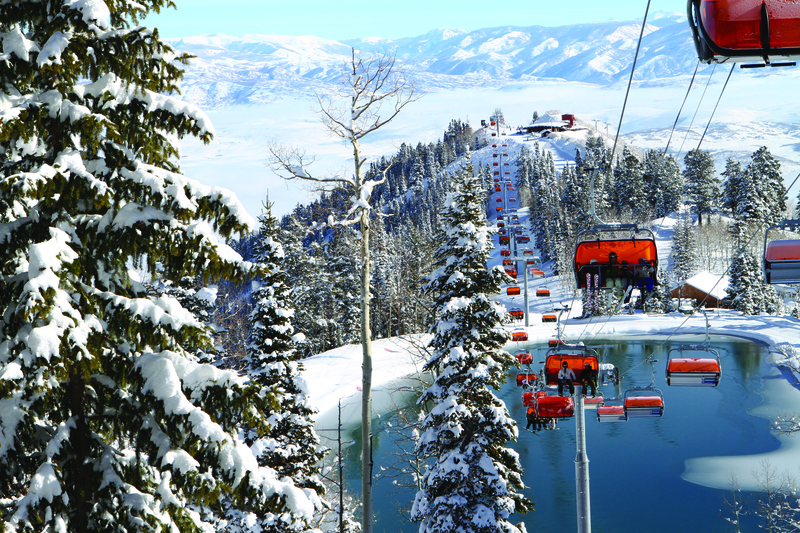 The new $50m lift connection between Park City Mountain resort and its neighbour Canyons (not just a base of Park City) by owners Vail Resorts has created the largest ski area in the US by area, which Mr Schrahe believes, although it does not have more acres than Whistler Blackcomb, it does have more piste kilometres – making it the largest in North America by that measure (except for the millionaires in the Yellowstone Club) who can ski bigger. A final twist in the tale (*and the reason I’m giving it 10th above all the other contenders) – Park City’s boundary lies next to Deer Valley’s so you can in fact ski both areas without taking your skis off if you buy two lift passes, valid at both. That takes the total skiable kilometres past 300km here (not 300 snowboardable kilometres though as Deer Valley still bans boarders). 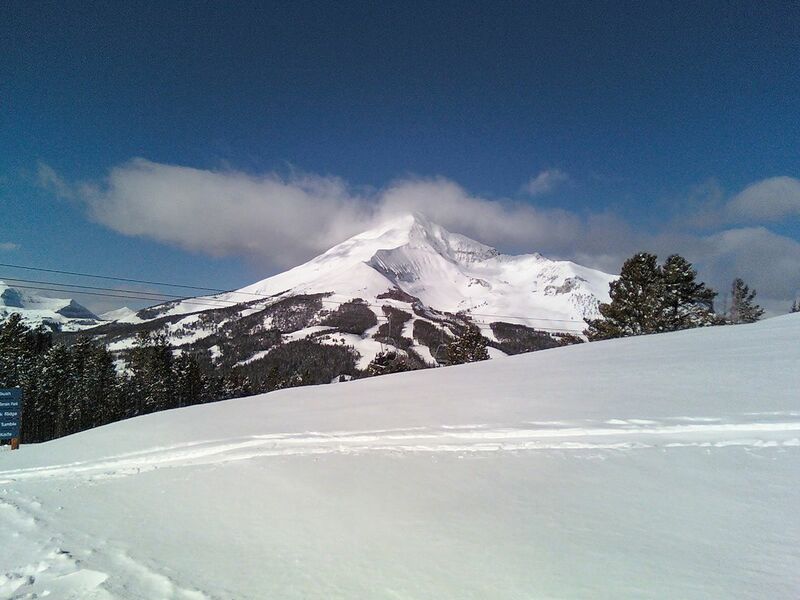 Where To Ski or Board This Week Ending January 23rd? [SNOWHUNTER] Where’s The Best Snow?